Cheryl’s property and private client practice encompasses trusts of land and proprietary estoppel, as well as boundary disputes. 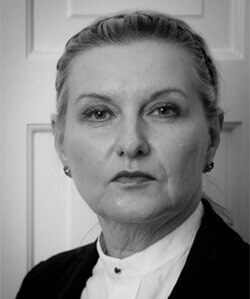 She has an extensive knowledge of and practice in probate and trusts issues. Cheryl sits in the High Court as a Registrar, dealing with both high value bankruptcy matters and company matters, as a Chancery District Judge and as a Civil and Criminal Recorder. She is also a trained mediator. With a background in lecturing at Westminster University, Cheryl welcomes any opportunity to give talks on in all the areas in which she practices. She aims to give clear, precise and uncomplicated talks that are of long term practical use to solicitors, barristers and anyone with an interest in the subject. In re Kramer (High Court) (2016), a claim by personal representatives for declarations under the Trusts of Land & Appointment of Trustees Act 1996 in conflict with previous decisions of a religious court and need for accounting from executor de son tort. Gabitass v Watkins (High Court) (2014), successfully resisting a claim by a stepson for provision from an estate on the grounds that he did not come within the act. In re Agarwala (2014), successfully setting aside two wills on the grounds of forgery and entering Indian will to probate against allegations of malpractice and fraud from the unsuccessful brothers. Many other cases involving advising and bringing claims for undue influence, want of knowledge and approval or incapacity; Inheritance (Provision for Family & Dependants) Act 1975; to remove executors/personal representatives; property claims by executors/personal representatives. Cheryl believes that strenuous efforts should be made in all cases to settle matters without the need for a trial, and many of her cases do settle at mediation, but she is a fearless advocate for her client when it is clear that no sensible settlement can be reached. Although Cheryl is officially located in the London Office of 3PB, and is particularly well placed to accept instructions in London, she also accepts instructions throughout the Midlands, South East and in Bristol. She is computer literate, providing swift and lucid advices by email if so desired. Cheryl Jones is qualified to accept instructions directly from members of the public and professional clients under the Direct Public Access scheme.